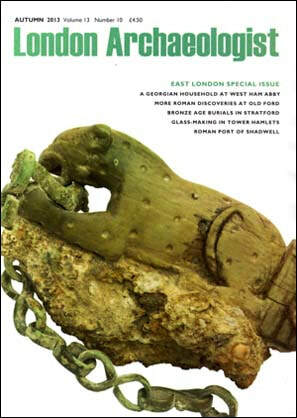 The resource of 50 years of quarterly publications about London’s archaeology and only London’s archaeology is invaluable – and a fascinating read for anyone with an interest in the subject. Although the last two years of LA are only available to subscribers, you can also buy individual issues from the membership secretary. 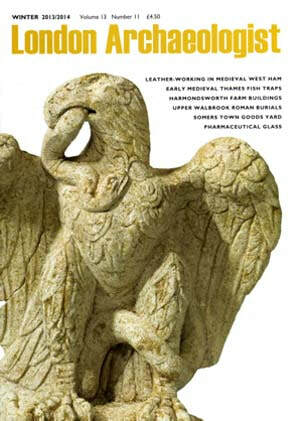 To see what was in recent issues published over the past six years, you can scroll through the contents lists below. 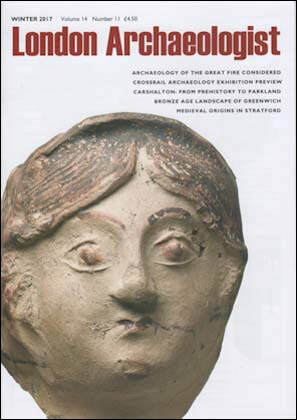 And if you’d like to access pdfs of all the magazines published more than two years ago, all the way back to 1968, you can find them through the Archaeology Data Service site. A year’s worth of LA issues is uploaded at a time to ADS, once a year in the autumn. 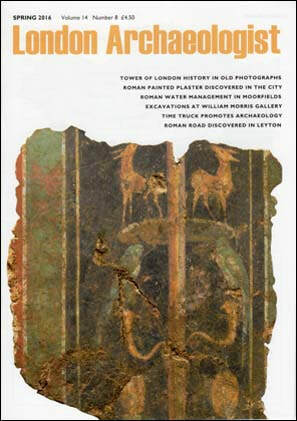 Exhibition preview: Death in Londinium - The opportunity to display the Harper Road sarcophagus for the first time has inspired a full exhibition at Museum of London Docklands. Curators Meriel Jeater and Jackie Keily spoke to Becky Wallower. 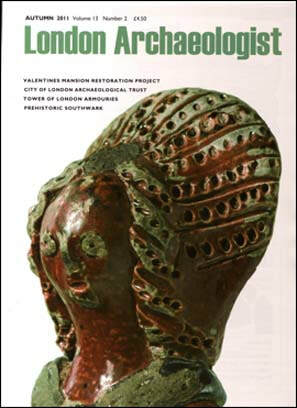 Access to archaeology: community archaeology at Fulham Palace - Fulham Palace is undertaking a multi-phase restoration project, with community engagement in archaeology at its heart. Becky Wallower visited Alexis Haslam, the new community archaeologist, to see what the project turned up on a three week dig. HOW DO WE RECOGNISE A MANSIO? Site update: Tudor bee boles at the Palace of Placentia - A watching brief being undertaken by PC in Greenwich has revealed unexpected remains of the Tudor palace. Peter Moore describes the findings and their future. Anniversary celebrations: LA@50 - Becky Wallower outlines plans for the magazine's 50th anniversary in 2018 and invites participation. 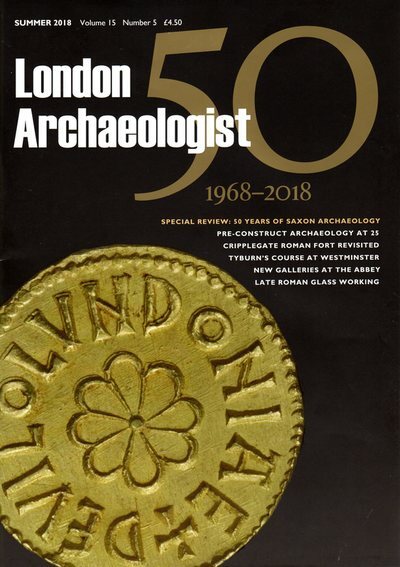 Just the job: breaking London's code - Epigraphist Roger Tomlin has one of the rarest jobs in the country, but one that contributes significantly to the archaeological record. Becky Wallower visited him in Oxford to probe both is work and the results of a major project for MOLA. 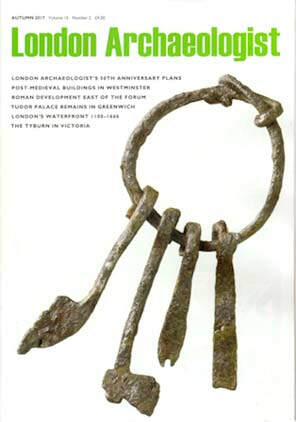 Author, author...: New foundations- The monograph on Tabard Square that won the 2016 London Archaeological Prize transforms our understanding of Southwark's prehistoric and Roman archaeology. 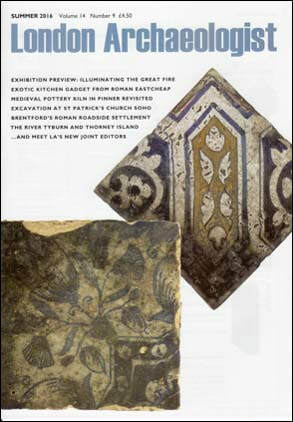 Becky Wallower interviewed principal author, Douglas Killock, and monograph editor and contributor, Victoria Ridgeway, who put together a publication to match the importance of the site. 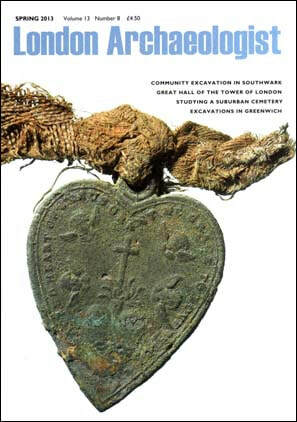 Exhibition preview: Cross sections - A new exhibition opening at Museum of London Docklands in February puts both the extensive archaeology and the engineering of the massive Crossrail project into perspective. Curator Jackie Keily spoke to Becky Wallower. 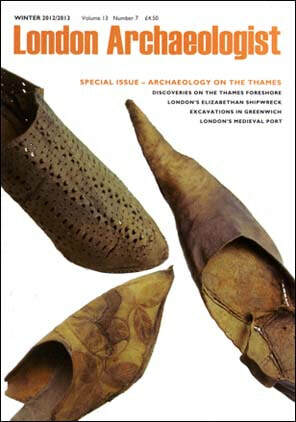 Museum visit: Target market - Becky Wallower investigates where the recently announced plans for Museum of London's move to West Smighfield are heading. 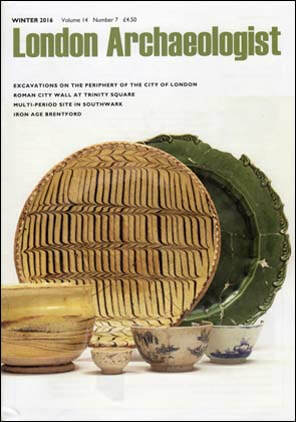 In context: One into two - Becky Wallower salutes Clive Orton's contribution to LA over 40 years and introduces the first joint editors, Jenny Hall and Diana Briscoe..
Findspot: An unusual kitchen gadget from Roman London - Paul Tyers investigates where a flanged dish from excavations at Eastcheap fits into the typology. 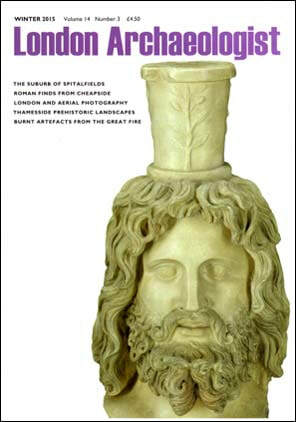 Exhibition preview: Illuminating the Great Fire - Curator Meriel Jeater gave Becky Wallower a sneak previw of Museum of London's exhibition on the 150th anniversary of the infamous date. 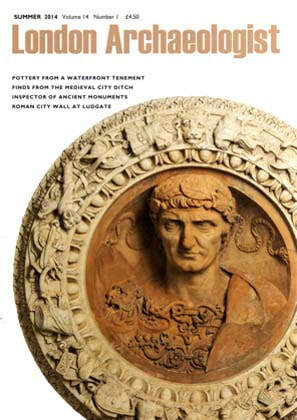 Findspot: Roman refinement in Lime Street - Newly discovered Roman decorated wall plaster provides insights into the domestic setting of the early London elite after the Boudican rebellion. 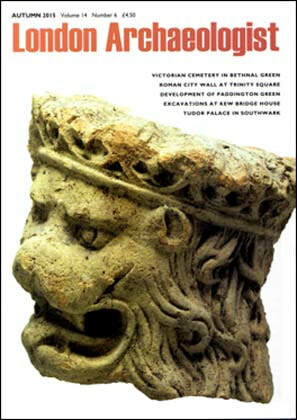 Ian Betts reviews its context, conservation and significance. Access to archaeology: Time truck gets rolling - A new initiative puts archaeology on wheels to bring benefits to communities and developers alike. Magnus Copps explains how it works. 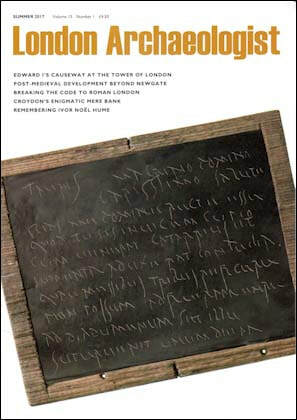 THE EARLIEST STEREOGRAPH OF THE TOWER OF LONDON? 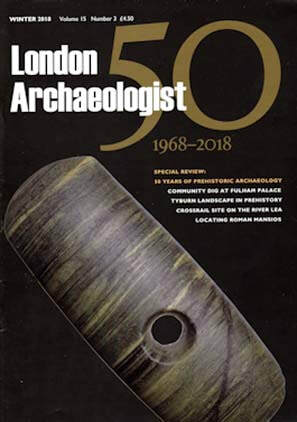 Planning issues: Reflections on GLAAS - Becky Wallower talked to Sandy Kidd, Principal Archaeological Advisor at the Greater London Archaoelogy Advisory Service, about how this section of Historic England is managing changes in internal structure and the planning process in London. 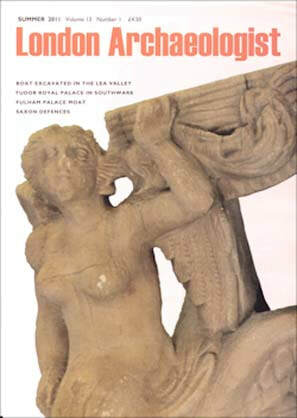 Report preview: transforming Londinium - Victoria Ridgeway previews a forthcoming publication on excavations at Tabard Square that have changed the prevailing view of Roman Southwark and yielded much new evidence on Londinium's development. 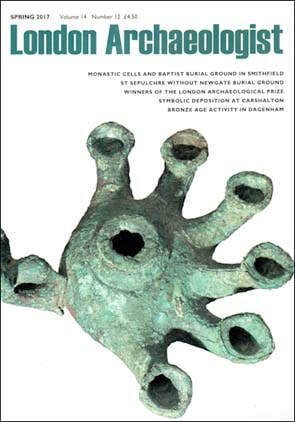 Author, author: Making history- Hazel Forsyth, winner of the 2014 London Archaeological Prize, talks to Becky Wallower. THE EASTERN BOUNDARY OF LUNDENWIC? 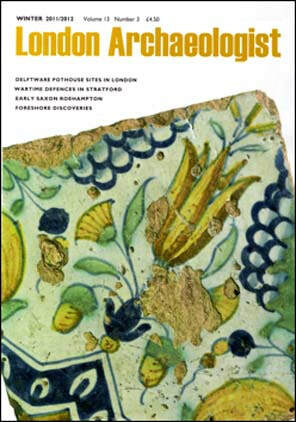 Report preview: Spitalfields life - An account of the early modern suburb of Spitalfields, due out in 2015, presents and archaeological history of the place, the people and their possessions. 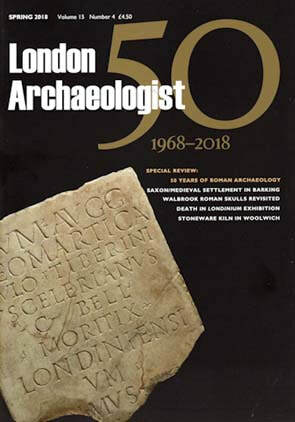 Significant site: All change - John Maloney became a significant figure in the City during the decade that archaeology in London was transformed for good. Becky Wallower talks to him about a site that encapsulates for him the emergence of the new professional era. Just the job: Ancient futures - London's Inspector of Ancient Monuments is one of only 18 such officials serving all the geographic regions of England, under the auspices of English Heritage. Becky Wallower spoke to Jane Sidell, the inspector responsible for the Greater London Authority Area, about her 'dream job'. 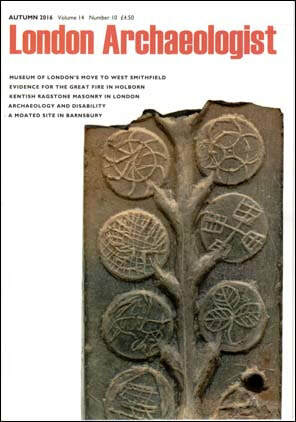 Access to archaeology: Archaeology with an Islamic community - future users of the Southwark mosque took part in the pre-development excavations of the site. John Maloney reports on the community project. 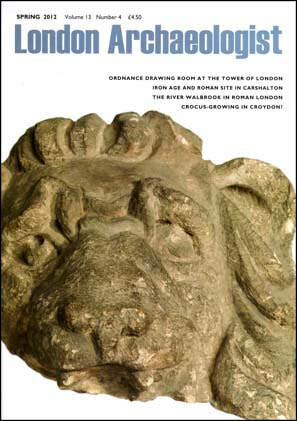 Findspot: Mother and daughter monasteries: a geological link between France and Saxo-Norman priories in Bermondsey and Lewes - Kevin Hayward of Pre-Construct Archaeology investigates some unusual geology. 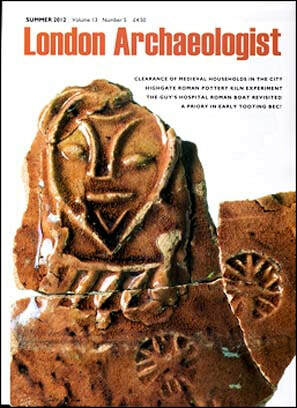 Report preview: Heads will roll - A report due out early this year has the potential to change our interpretation of burial in Roman London. 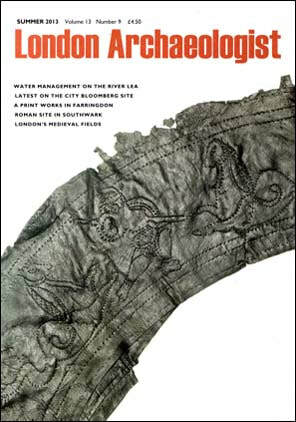 Chiz Harward, Natasha Powers and Sadie Watson preview key discoveries in a monograph covering 20 years of archaeological work in the upper Walborook valley. Findspot: Domestic menagerie in Greenwich? 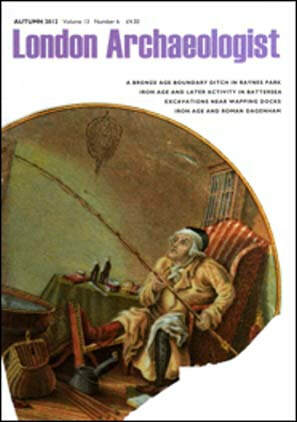 - What were rabbit, guinea pig and parrot bones doing in an early 19th-century well? Kevin Riellly of Pre-Construct Archaeology investigated the bones and the animals' historical context. 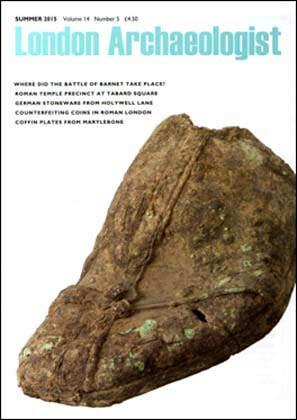 Project update: The Bloomberg bonanza - Two years of excavations at this key City site are revealing excepttional evidence of habitation and activity going back to the earliest Roman settlement. To update April's press extravaganza Becky Wallower talked to Mola's Site Director Sadie Watson and others workng on the project. 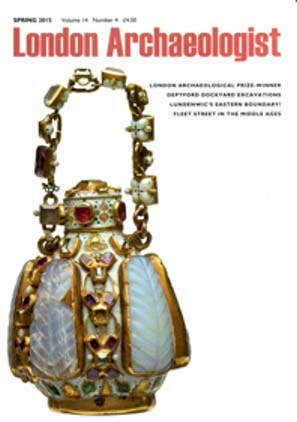 Author, author: And the award goes to...- What makes for an award-winning publication? 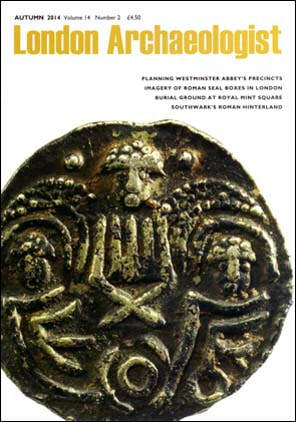 Becky Wallower spoke to John Schofield, author of London 1100-1600, winner of the 2012 London Archaeological Prize, to find out.